Please welcome Yoon Ha Lee to The Qwillery. Raven Stratagem (Machineries Of Empire Trilogy 2) is published today by Solaris Books. TQ: Welcome back to The Qwillery. Your new novel, Raven Stratagem (Machineries Of Empire Trilogy 2), is published on June 13th. Has your writing process changed (or not) from when you wrote Ninefox Gambit (Machineries Of Empire Trilogy 1) to Raven Stratagem? 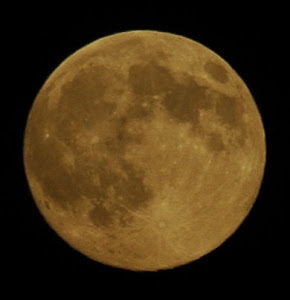 YHL: Hello, and thanks for having me! The writing process was mostly the same! In both cases I started with a longhand rough draft written with fountain pen, although with Ninefox I just wrote in notebooks, while in Raven Stratagem, because it has three main POV characters, I color-coded the characters' chapters using pastel Clairefontaine paper in a binder. I also color-coordinated the fountain pen inks (pink paper and red ink for Shuos Mikodez because red is one of the Shuos colors, for example). It's ridiculous, but it made the structure of the book easier to see at a glance, and it appealed to my sense of frivolity. I took later drafts into Scrivener for ease of editing and revisions, and ran them by multiple beta readers, then did more revisions. For revisions, I would write quick summaries of each chapter on index cards along with the POV, and rearrange the index cards so I could quickly reshuffle my plot--especially useful when I had to add some chapters to Raven Stratagem and needed to reorganize the novel so that the midpoint event once again fell at the actual midpoint of the wordcount. 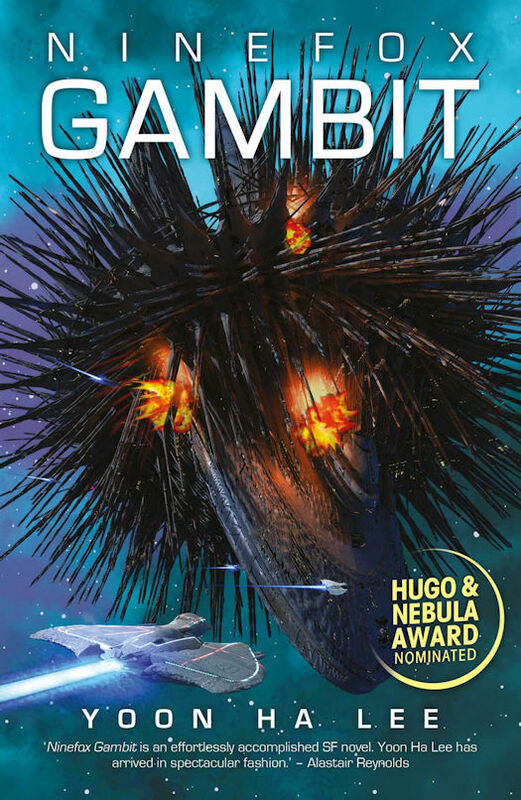 TQ: Ninefox Gambit has been nominated for the Arthur C. Clarke, Hugo and Nebula Awards. How does that affect your writing if at all? YHL: Well, it made me more of a nervous wreck for a while there, simply because it was so overwhelming! But honestly, while I'm honored for my book to be considered, it doesn't change the day-to-day work of writing. The words still have to get down on the page (or in the computer). 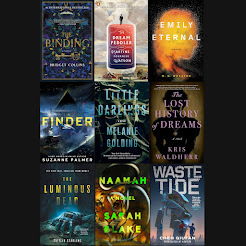 Congratulations to all the Nebula winners, by the way! TQ: What do you wish that you knew about book publishing when Ninefox Gambit came out that you know now? YHL: Mostly that the book publishing process takes months to years! I remember having one short story get published by a webzine literally weeks after I sold it. I'm pretty sure you can't do that with print books. It's more like what I imagine running a marathon would be like (if I could run marathons). You have to be in it for the long haul and keep sight of far-off goals. TQ: What method or methods do you use to keep track of the characters and events in the Machineries of Empire Trilogy? YHL: I realized pretty rapidly that I was going to need a continuity bible. Mine is a 40,000-word Scrivener file that I...really should update more often, because it's outdated again, and from time to time I export dated copies in mobi format so I can put it on my Kindle for easy reference. For events, I have a timeline. It's hilarious, because I hate keeping track of dates, but given how obsessed the hexarchate is with numbers and dates, it was impossible not to. For major characters, I do full write-ups on their personalities, quirks, notable traits, physical appearances, and so on. I also stat them up as if they were overpowered roleplaying game characters, with the caveat that since they're book characters they don't need to adhere to some notion of "game balance." And for some of the major characters I also write up their opinions of the other characters, which may or may not have much basis in reality, since characters have their own biases and misconceptions. TQ: Tell us something about Raven Stratagem that is not in the book description. YHL: Partway through the book, you'll get some more backstory on Shuos Jedao and Nirai Kujen and their entirely unhealthy alliance! This includes some things that Jedao himself isn't currently aware of. 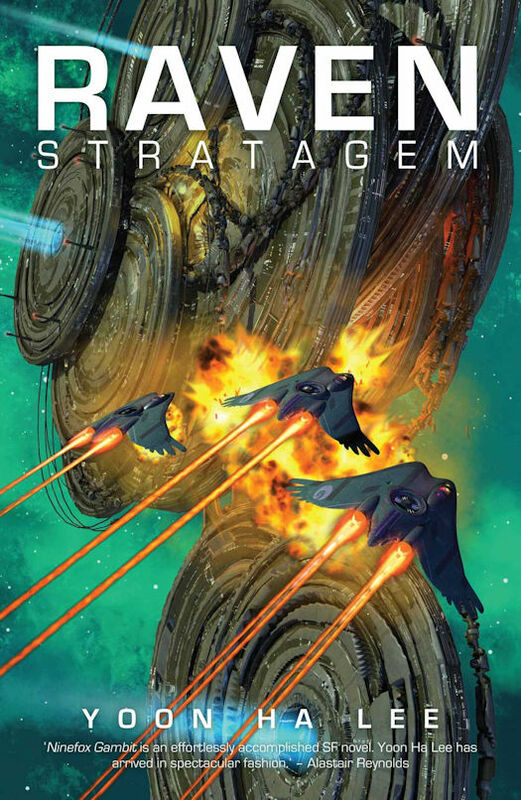 TQ: Please tell us about the cover for Raven Stratagem. YHL: The art is by Chris Moore, who also did the cover art for Ninefox, and it depicts one of the space stations in Raven Stratagem, the Fortress of Spinshot Coins. I think the starships are supposed to evoke ravens based on the title, which I thought was an especially nice touch. I'm thrilled by Moore's covers (I have seen previews of the one for Revenant Gun, which is the third book) and they're all gorgeous, but I have to admit that Raven Stratagem's is my favorite! TQ: Which character in the Machineries of Empire Trilogy (so far) has surprised you the most? YHL: I think Hexarch Nirai Kujen. Originally I'd written Ninefox Gambit as a standalone, and Kujen was a very minor character. He ended up becoming much more important than I'd intended. His personality also changed significantly, partly as a consequence of feedback from my sister and my husband regarding the very first draft of Ninefox, in which Jedao was an out-and-out sociopath. 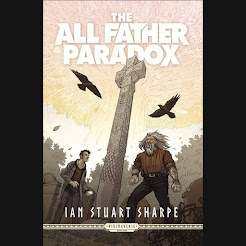 I mean, he's still not a particularly nice or good human being, but my sister and husband felt that having Cheris be overshadowed and bullied by someone so palpably evil would make the book too unpleasant for anyone to actually read. So I dialed Jedao back and redid his personality and motivations. But of course, I guess there's a conservation of sociopathy going on, so that Kujen, who was originally a cowardly mad scientist who pursued immortality because he was terrified to die, ended up as a sociopath in revisions. Sorry...? I'm afraid you'll have to wait until the third book to get much more background on him, although there's some more material on him in Raven Stratagem. TQ: The Machineries of Empire Trilogy is Space Opera. What do you think is the appeal of Space Opera? The other thing I think might be particularly appealing about space opera is its romantic nature, not in the sense of kissing scenes but larger-than-life plots and personalities. I hear that in history two opposing approaches to understanding events are Big Personalities vs. Massed Social Forces. I think there's value to both approaches (I say, despite not being a historian), but space opera very definitely tends toward Big Personalities, which can be appealing as a fantasy of agency. TQ: Give us one or two of your favorite non-spoilery quotes from Raven Stratagem. Whoever the medics were, they clearly weren’t Kel. “That’s a lieutenant colonel, you dimwit.” The owner of the first voice sounded like they wished their companion were something smarter, like a slime mold. YHL: I'm currently working on a Korean mythology space opera for middle grade readers called Dragon Pearl for Disney-Hyperion. The heroine is a shapeshifting fox spirit girl searching for her brother, who allegedly deserted from the Space Forces while hunting for the Dragon Pearl of the title--an artifact that can terraform worlds. As you can imagine, considering that this whole thing is set in space, I'm playing fast and loose with the source folklore and not sweating authenticity too much. After that, I'll be working on a collection of hexarchate short stories called, appropriately, Hexarchate Stories. Half the material will be reprints of extant hexarchate material, and half of it will be new to the collection. And after that, who knows? YHL: Thank you for having me! When the hexarchate's gifted young captain Kel Cheris summoned the ghost of the long-dead General Shuos Jedao to help her put down a rebellion, she didn't reckon on his breaking free of centuries of imprisonment – and possessing her. 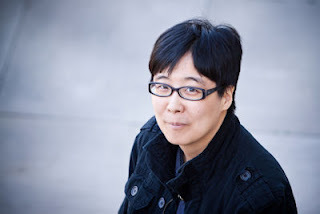 Yoon Ha Lee's first novel, NINEFOX GAMBIT, came out in 2016 from Solaris Books and was shortlisted for the Nebula, Hugo, and Clarke awards. Its sequel, RAVEN STRATAGEM, is forthcoming in June 2017. He lives in Louisiana with his family and an extremely lazy cat, and has not yet been eaten by gators.